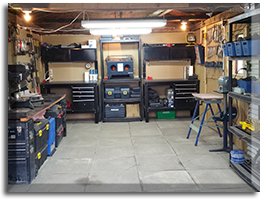 Company, providing a polishing services and products catering stainless steel and other metals, such as household (superstores), elevators (residential / commercial), pharmaceutical equipment or food (industry) and all other processed products at the factory. Even individuals can take advantage of our specialized services. 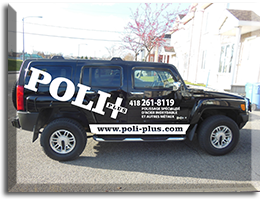 Currently expanding, then in its infancy, the business was limited to the greater metropolitan region of Quebec, Poli-Plus has now greatly expanded its territory beyond his hometown. 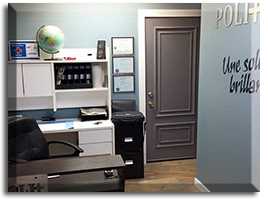 We now serve the businesses and industries in the province of Quebec. For residential purposes, however, we still limit our territory in the region of the Capitale-Nationale and surrounding areas. Polishing involves the use of specialized techniques and abrasive and precision tools for hand finishing of stainless steel products and metal works. Polishing technician must offer a quality that must meet, among other safety standards, and requirements of the polished product performance, while delivering impeccable visual finish. Catering is also offered by a specialty POLI-PLUS. These specialized techniques developed by the proponent, are to rectify surface damage appliances and stainless steel elevators, their giving their original appearance.